Three Australian citizens have had their names appeared on forged passports used by Israeli security agents to carry out an assassination of a HAMAS official in Dubai. Some years back, an Israeli diplomat was expelled for trying to secure forged Australian passports. One former Mossad operative claims that Mossad has a veritable factory producing forged Australian travel documents. Who knows how many Australians could be implicated in assassinations and other forms of terrorism? But Andrew Bolt simply cannot see beyond his own prejudices. And he refuses to say even one nasty thing about Israel, a country he visits so often on all-expenses-paid trips. For Andrew, it is always the dreaded Mozzlems who are the worry. 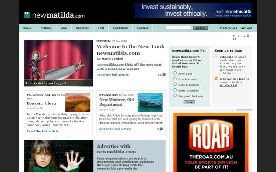 This article was first published in NewMatilda.com on 17 September 2008, soon after Malcolm Turnbull was elected Leader of the Opposition. Since then, we've had the leadership change and the ETS debacle, with Turnbull crossing the floor to support the Rudd government. In case you're reading this after having just returned from a visit to Osama's cave in Pakistan's wild North-West, Malcolm Turnbull has been elected leader of the Federal Parliamentary Liberal Party. It was by a narrow margin, hardly a handful of votes. Turnbull's allegedly more conservative opponent, Dr Brendan Nelson, has returned to the backbench where he can shed any remaining tears in private. But how many tears will Nelson need to shed? How long will Turnbull last? The conventional wisdom seems to be that Turnbull and Nelson will play each other off in the same manner as John Howard and Andrew Peacock did during the 1980s. Yet that ongoing leadership challenge was as much about ideology as personality. During one of his terms as opposition leader, Howard boasted of being Australia's most conservative political leader. Peacock, on the other hand, was seen as being about as conservative as your average Hollywood actor. Brendan Nelson and Malcolm Turnbull aren't as ideologically separate as many assume. And to conservatives in their home state of NSW, Turnbull's values haven't always been seen as Party values. In many key state divisions, the Liberal Party has become such a conservative ideological beast that it no longer really is a liberal party anymore. Ideology is important to Party pre-selectors and powerbrokers, if not to the Party members who hand out on election day. During my last Liberal Party days in 2001-02, Malcolm Turnbull was regarded by the NSW Right Wing as Satan-incarnate, the man who hated our Queen and therefore probably our God and country also. He was the man who went on national television and declared that our leader and our conservative hero, John Winston Howard, had broken the nation's heart. What hubris he had, assuming he and not the PM could see where the nation's heart really was. By the time Turnbull was running for pre-selection for the supposedly blue-ribbon Liberal seat of Wentworth, he had already served as Treasurer of a Federal Liberal Party that was desperate for the cash his business contacts might generate. By this time, the NSW Right Wing was on the ascendancy. 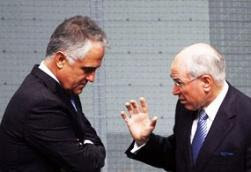 Turnbull needed to transform himself from republican devil to someone at least less evil than his opponent. John Hyde Page writes in his 2006 book The Education Of A Young Liberal that the Right, which by then had taken over the entire NSW Party, was backing Turnbull against sitting member (and Hyde Page's employer) Peter King. To me, as a former factional warrior, this came as a shock. What had happened to the Right? Were they doing deals with the devil? Had they given up on the monarchy? Had they decided to support the closest thing the Eastern Suburbs of Sydney had produced to Paul Keating? Or was this just a temporary measure to remove King, regarded as an old warhorse for the wets even if he was a monarchist? Turnbull's comment in his victory speech that real freedom doesn't exist without fairness sends a clear message to the NSW Right. He may be a former merchant banker. He may be Australia's wealthiest politician. But this Eastern Suburbs mansion-owner is no conservative. And the conservatives know this. Which explains why so few of them would have voted for him. Then again, Nelson didn't have superb conservative credentials either. When he ran for pre-selection in the actually blue-ribbon seat of Bradfield on Sydney's North Shore in 1995, rightwing preselectors (including myself) were all under strict instructions not to support him. After all, Nelson was running against David Connelly, a sitting member and shadow minister who was (or so he claimed) a Howard-loyalist. In those days, Nelson was seen as an ear-stud wearing Brendan-come-lately who was backed by the small-‘l' liberal faction we called "the Group". Pre-selectors received a VHS video cassette in a blank envelope with a five second clip showing Nelson holding a loud hailer and declaring: "I have never voted Liberal in my life!" Nelson won that ballot by a handful of votes. Mine wasn't one of them. And yet conservatives came to terms with Nelson, who showed he could out-Howard Howard in certain areas. Nelson wasn't afraid to throw a few hand grenades in the general direction of allegedly unintegrated minorities. He was happy to remind Muslim independent schools to teach Australian values they were already teaching. Nelson was also happy to use taxpayer funds to support allegedly more integrated minorities, handing millions to schools run by the Exclusive Brethren so that they could deprive their children of such non-Judeo-Christian and satanic subjects as information technology. Somehow I doubt Turnbull would feel comfortable with the cultural wedge politics of the Howard era. He certainly wasn't afraid to speak about real fairness, as opposed to Howard's empty "fair go". Turnbull is the kind of leader who could take the Liberal Party back to the centre. He might even attract less conservative and more liberal Liberals (including ex-Hard-Right types like me) back to the fold. The real question is whether the Hard Right of the Party (and their Parliamentary patrons) will let him.